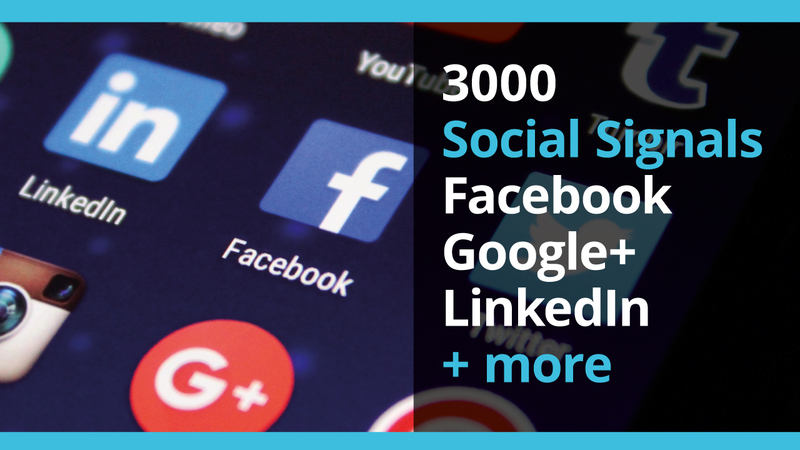 We will deliver 3000 Social Signals (Pinterest, Facebook, Google Plus, Linkedin). "Social signals refer to a webpage's collective shares, likes and overall social media visibility as perceived by search engines. These activities contribute to a page's organic search ranking and are seen as another form of citation, similar to backlinks. Social media is now more than a messaging and acquisition channel: it directly impacts an online store's SEO. This makes it more important than ever for ecommerce operations to build a cohesive social media strategy that focuses on promoting high-value campaigns, sales and products." •	Also any other type of link! Your url / website link please! Many thanks, Lana you were a pleasure to work with! Building creative brands and websites with lead generation and SEO strategies that get you results. Providing an effective, professional and friendly service. 20 years professional...Read moreBuilding creative brands and websites with lead generation and SEO strategies that get you results. Providing an effective, professional and friendly service. 20 years professional design experience – 5 years working for two different design agencies in London and now 15 years working in the South West. 5 Years working with Social Media and Social media Management. Work with businesses all over the UK and Europe – from start-ups, medium sized & larger companies. I keep all aspects as simple and straight forward as possible. Provide you with high quality, well thought through end results and tackle each project with enthusiasm and professionalism. Work Experience Summary: 20 years professional design experience - 5 years working for two different design agencies in London and now 15 years working self employed in the South West of England.